Join us for our Worship service starting at 10:45 a.m. All are welcome. Come as you are and sit where you like. There is no dress code and no expectations. Our KidVenture program, for kids ages 2 – 12 years, runs downstairs during the worship service. 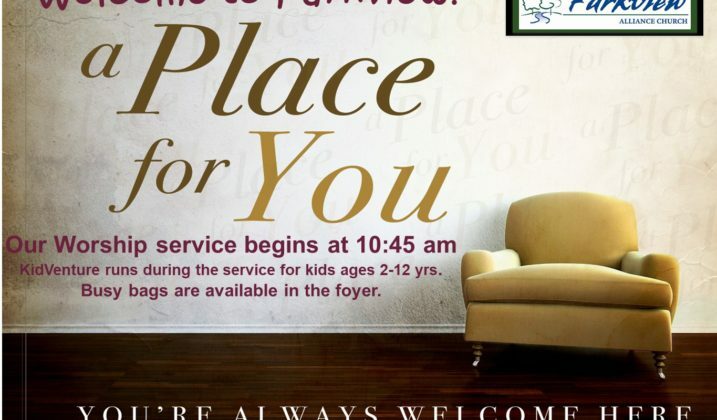 There is a Prayer time at 9:10 am in the balcony Prayer Room Sunday mornings. You are welcome to join the group that meets for prayer. We have Life Long Learning, our Adult Sunday school classes from 9:30 – 10:30 am Sunday morning.